Hiring a good false ceiling contractor can be tough, especially if there are many options. However, choosing the right contractor does not require any expertise. All you need is some spare time and understanding of the work to be done. Research! Start asking around within your circle of family and friends first, especially the ones who have recently renovated their house. Try getting in touch with a building inspector or ask your builders for some reference. It is always good to have a known and recommended contractor rather than choosing a new one. In case you can’t find any recommendations from your social circle, you may Google the best contractor in your area and check out their past work and reviews. Are they comfortable with your type of work? Are they willing to provide financial references, suppliers, or banks? How many projects do they undertake at the same time? Are there any subcontractors under them? Will they be doing their own labor together with a craftsman or do they work on a contractual labor basis? When you have sort listed three or four contractors, plan a meeting with them. 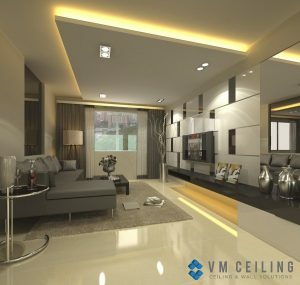 In these meetings, you can discuss false ceiling prices and then compare the most suitable contractor for your project. By doing so, you not only get a brief idea about the prevailing market price and how the contractors work, but you will also be able to determine their level of professionalism in dealing and communicating with clients. Nobody wants to fall for a scam or to deal with legal issues. After meeting the contractor, you can also contact their former clients in order to learn more about their working styles and legitimacy – Will the contractor complete the work on time? Do they deliver quality work? Have they been involved in any legal issues? Do they clean up themselves after the completion of the project? You can even go to their current working site and check everything yourself. After choosing your contractor, it’s now time to get bids! Ask the contractors about their charges. Does the charge include material costs as well? Are they charging on a contractual basis or labor per day basis? Ask the contractors to break down their cost into separate sections such as materials, labor, profits, and other expenses. 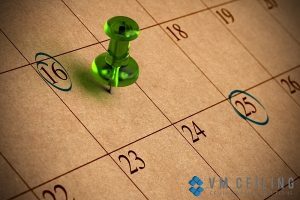 It is important that you set up a payment schedule. Depending on the contractor’s financial status and work ethic, you may pay 25% of the bid amount in advance and pay the rest during a fixed interval of the work done. For large contracts, 10% of bid amount is the usual contract amount, while the rest is paid on a breakup of 25%, 50%, 25%, and 20%. By now, you must already have an idea of the false ceiling price. However, it is important to never finalize with a contractor seems desperate to work on an extremely low price. It is likely that they will leave untrimmed edges, unfinished work, and uncut corners during the project. They may end up not being professional as they are most willing to work for the cheapest price. Having everything on paper ensures a well-documented project. Such documentation includes the prices, payment schedule, work schedule, the starting date of the project, and the amount of work that needs to be accomplished. Any changes during the course of the work must also be documented. The paper is not only a proof of contract but also works as a proof for insurance coverage and workers compensation if any. 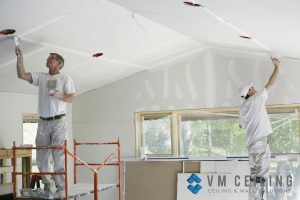 Finally, trust is an important factor, which is why it is advised to look out for trustworthy false ceiling contractors whom you can be comfortable with. As such, do not fall for people who lack professionalism and are only desperate for work because this may lead to unsatisfactory execution.